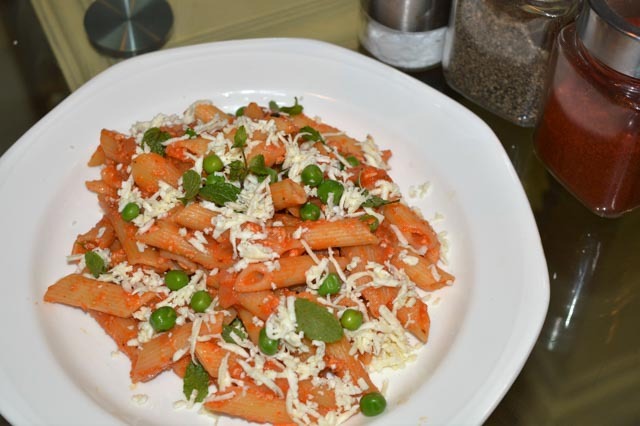 Penne Paneer Matar: fresh tomato pasta recipe made from easily available Indian kitchen ingredients. 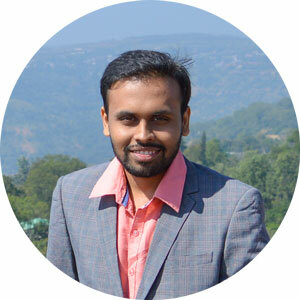 It is not always necessary to have specific ingredients to make any particular dish. We can always make use of the local produce to reinvent that dish and give similar flavours. So here is the dish made totally with easy to find ingredients in Indian Kitchen. This recipe is made from fresh tomatoes rather than tinned giving it a vibrant taste, not to ignore its availability in Indian Kitchen. I have added Carom Seeds and mint as a stand out ingredient. Peas add protein value to it. Now to the dish. 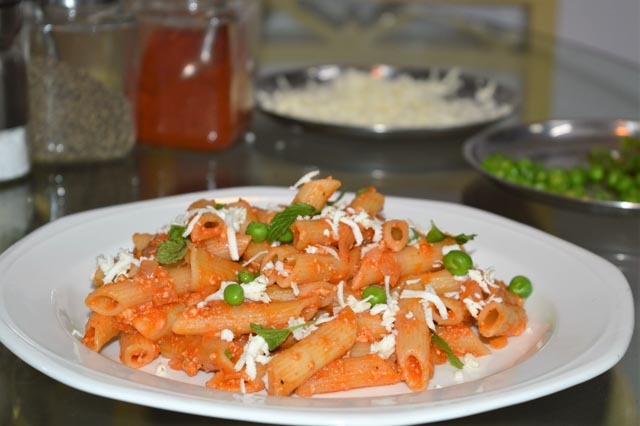 Penne uncooked 400gms, Tomatoes medium 8, Onions medium 2, Ajwain (Carom Seeds) 1/4tsp, Black Pepper 1/2tsp, Chilli powder 1.5tsp, Garlic Paste 1.5tsp, Salt to taste, Shredded Paneer(Cottage Cheese) 100gms, Green Peas handful, Mint Leaves few sprigs, Oil 3Tbsp, Sugar 1/2Tbsp. Add Salt and little Oil to the boiling water. Water should taste Salty. 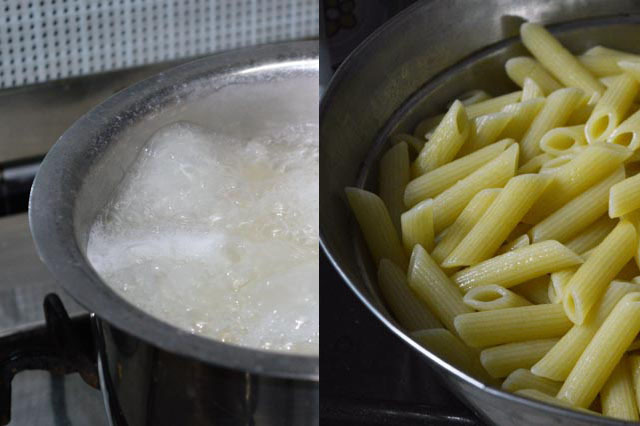 Boil pasta till al dente and drain. 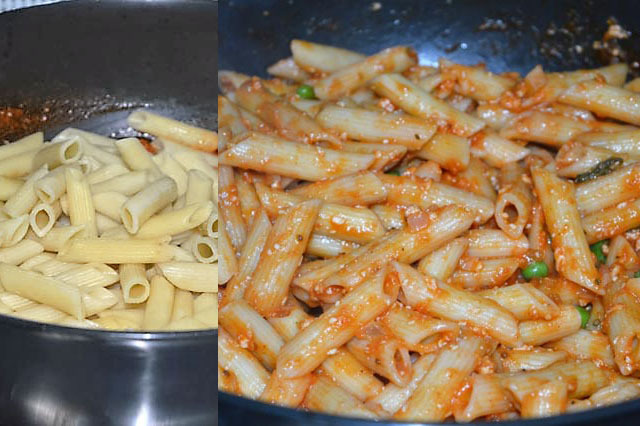 Do not wash the pasta with running water, all wonderful starch washes away with it. Reserve a cup of pasta water. 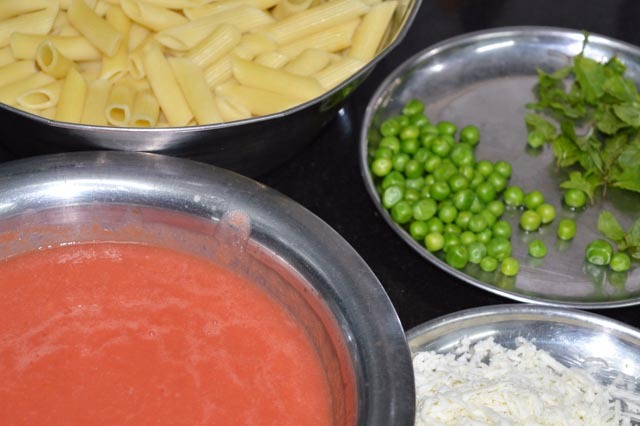 As the Pasta is boiling, keep ready Roughly chopped Tomatoes. 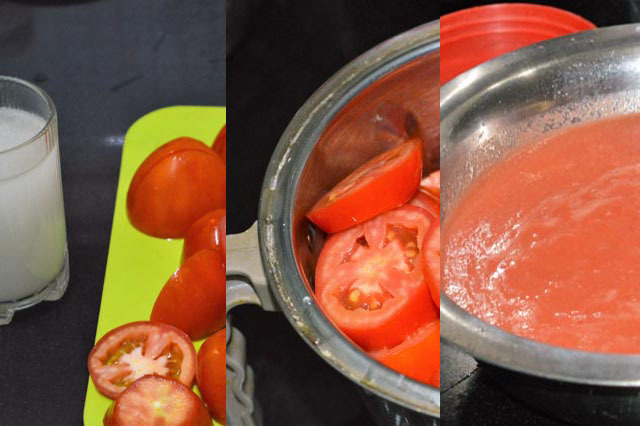 Grind Tomatoes with reserved pasta water in the mixer. Strain it and keep it aside. Heat Remaining Oil in the pan, Add Chopped Onions and cook briefly. Add Ajwain(Carom Seeds), Chilli powder, Garlic, Half of the Mint Leaves , Black Pepper & Salt. Mix and cook till onions are translucent. Add Tomato Puree, Bring it to boil and Simmer. 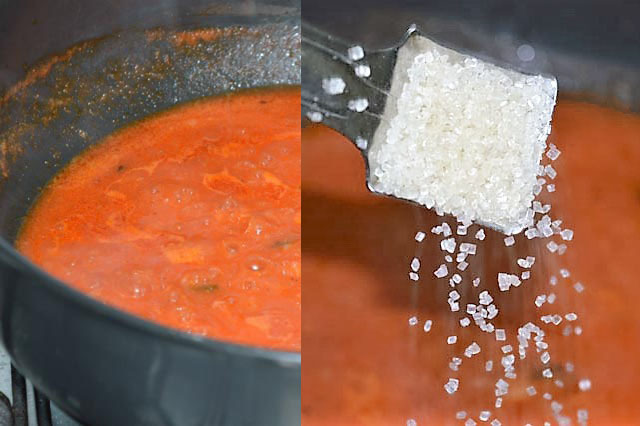 Add Sugar to slightly cut the acidity. 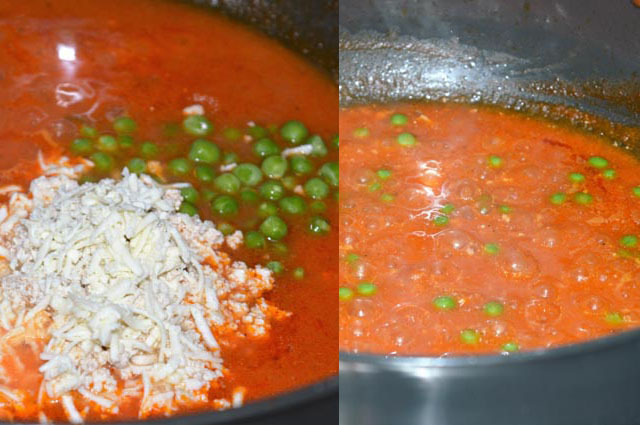 Add Half of the Shredded Paneer, All Green Peas; Simmer till peas are cooked. Add Pasta; Mix well and cook Briefly. Plate and Garnish with Remaining Paneer and Mint Leaves. 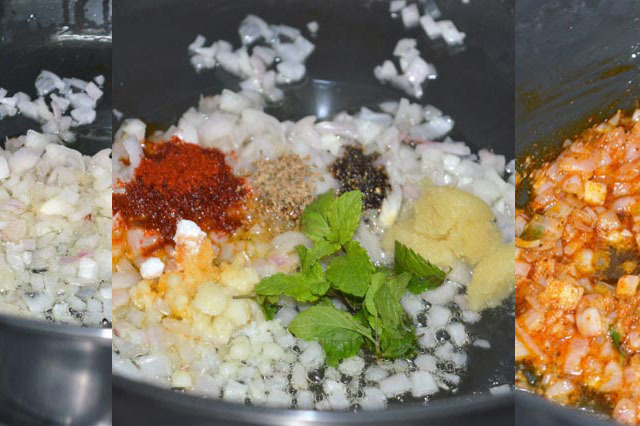 Dal Fry and Jeera Rice Recipe (Lentil Stew with Cumin Rice).